The total phenolic content of date palm (Phoenix dactylifera L.) seeds (samples 1 and 2) and leaves were determined and for the first time their antioxidant activity in a food system investigated. The anti-inflammatory activity and potency of samples in the inhibition of radical-induced DNA scission and human low-density lipoprotein (LDL) cholesterol oxidation was also evaluated. The total soluble phenolic content of the date palm leaves was 106.96 mg gallic acid equivalents (GAE)/g sample and ranged from 68.73 to 82.62 mg GAE/g of date seeds. Extracts showed good radical scavenging activity in the different in vitro tests conducted in this work and were found to be effective in inhibiting the oxidation of cooked ground meat. Soluble phenolic extract from date seeds of sample 1 was most effective in inhibiting DNA strand scission by 74.15%, while soluble phenolics from palm leaves showed the highest inhibition of LDL cholesterol oxidation (87.82%). Both samples significantly inhibited mRNA level of COX-2 at concentrations as low as 5 μg/mL, with the most potent inhibitory effect being for date palm leaf extracts at 50 μg/mL. 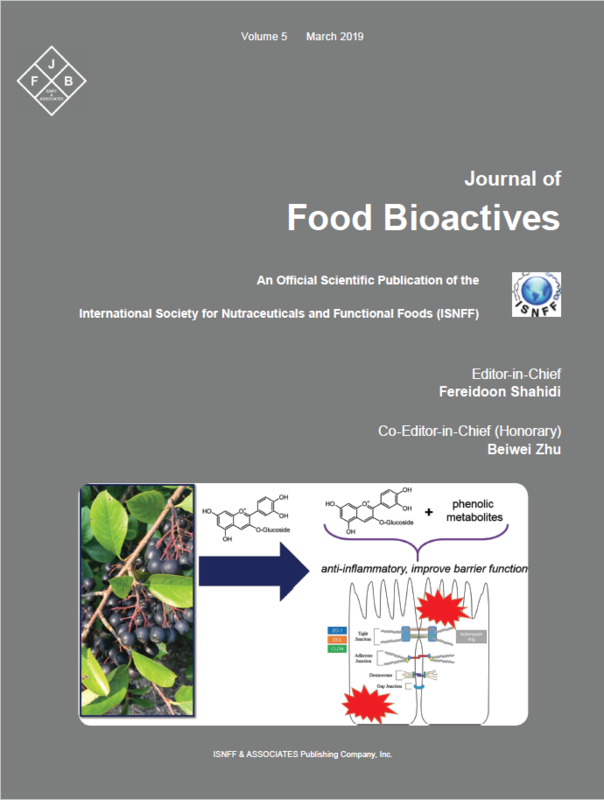 A number of phenolic compounds including proanthocyanidin dimers, catechin, epicatechin, 5-O-caffeoylshikimic acid isomers, ferulic acid, rutin and isorhamnetin hexoside, among others, were detected in date palm seeds and leaves.